This "salad" has zero lettuce, which might be the best way to eat a salad. As far as spicy heat goes, this recipe is mild. Feel free to heat it up to your liking with diced jalapenos, chipotle chili powder or hot sauce. If using hot sauce, reduce the added salt. Add rinsed and drained quinoa to a pot with water and 1/2 tsp salt. Cover and bring to a boil. Once boiling turn to low and simmer with the lid slighty open so the pot is not completely covered for 10 minutes. After 10 minutes put the lid on completely and let cook for another 10 minutes, for a total cook time of 20 minutes. I find that the quinoa has a better texture when cooked this way and won't come out mushy. Let the quinoa cool completely. If using frozen corn add it to a pot, cover with water, bring to a boil and cook for 7 minutes. Drain and set aside and let cool. Blend the mayo, lemon juice, 3/4 tsp salt, smoked paprika, and pepper. 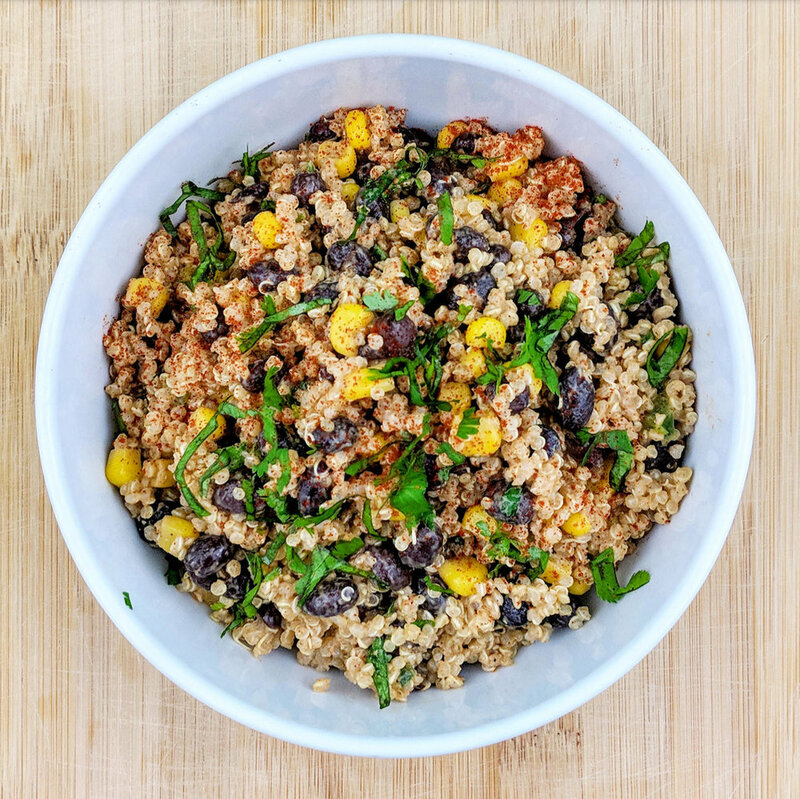 Combine the quinoa, black beans, corn, cilantro, bell pepper, and onion. Pour the mayo mixture over the quinoa and combine. Taste and adjust seasoning if needed. Garnish with additional cilantro and smoked paprika. Serve chilled.